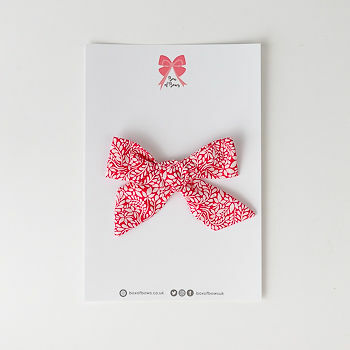 Our Lily hair bow is scarlett red broken up by the smallest amount of white. Simple but stunning. Free delivery. Bunches / sister packs are shipped in a pink bag.